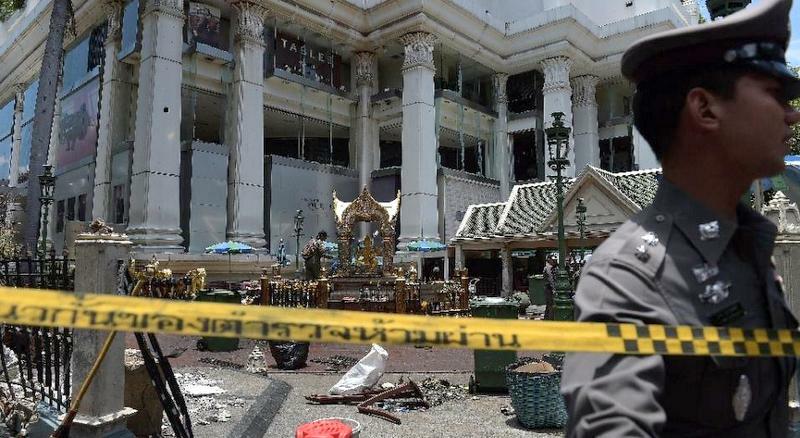 PHUKET: Teen gun crime and slayings in carparks and public parks, meth coming out of our ears and anywhere else mules feel is a good place to hide it, and a terror bombing in the capital to top it all off. It has not been a good couple of weeks for Thailand. Yet, all this is testament to one lone point: Thailand, and Phuket, has well and truly joined the global neighbourhood. Not so long ago they used to say “America catches a cold, and the world sneezes.” Today, anything that affects the world has every chance of presenting itself, in manifestation or shadow, in Thailand. That includes Chinese Uygurs and jihads in Turkey to hit squads working for drug lords. Now there’s no telling where the next non-traditional threat will come from. Thailand, welcome to the First World. The term itself is an irony. First World initially referred to the United States, United Kingdom and their allies. The so-called Second World comprised the Soviet Union, China and their allies. The Third World were neutral and non-aligned countries. The term Third World conjures up images of “Dark Heart” locales where pretty much anything goes, and men in uniforms get away with murder. Hopefully, those days are over for Thailand, as this week’s court freedom of press ruling in Phuket may have signifified. The case centred on a news report saying that some sources claimed that some officers might be involved in the human trafficking of Rohingya. Well, more than 72 arrests later by the Thai authorities themselves, with the highest-ranking official arrested being a Lieutenant-General, the report might have had a point. Meanwhile, however, the fiasco trial of two migrants for the notorious Koh Tao murders trial this week has fallen off the radar. The point pivots. Out of politeness, the United Nations decades ago diplomatically stopped using First, Second and Third World to describe nations. Now we’re developing, or developed. Apparently the capitalists get to decide which ones are which. On the human-trafficking, border-smuggling front, which seems to be lurking beneath all the international issues currently facing Thailand, the United Nations more than 10 years ago said the main issue this decade would be “transnational migration”. Boy, they weren’t wrong. Now they’re saying that the main issues for next decade will be climate change and over-population. Let’s hope that grave prediction is just a warning shot to stave off critical issues in the decades to come. Otherwise all of humanity is in for another harsh Dark Age. After all, we all now live in the same hood. Poll: What do you think about the current ‘retail boom’ in Phuket? Phuket Poll: Is Thailand ready for elections?